I’m starting to learn Python again. It’s been a while but there are so many times if I could just write something half decent I’d have done a task in 30mins instead of half a day or longer. The latest free Pynet course run by Kirk Byers has started again so, here’s to learning new things. Aggregating links is a normal task of any networker. Here’s how you can aggregate 4 links between a Redback SEOS and Cisco IOS device. A while back I was dealing with QoS topics on an almost daily basis. 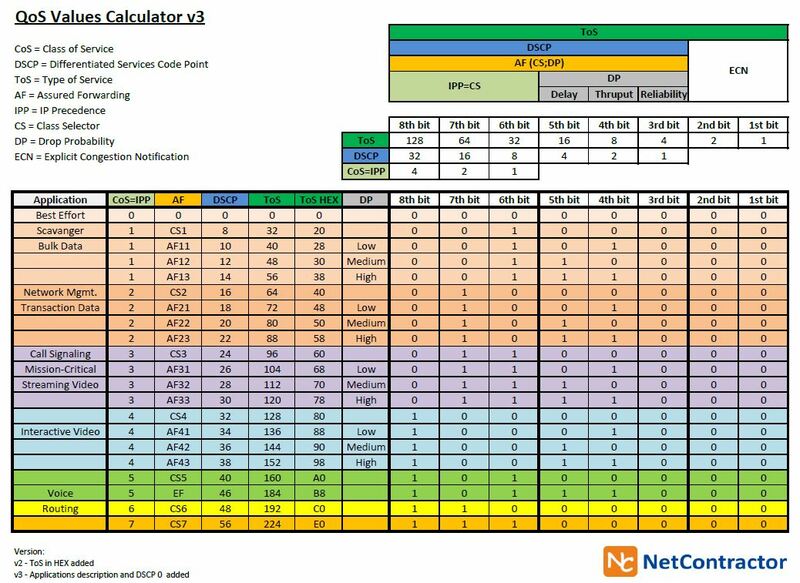 A big thanks to NetContractor for this table but it needed some tweaks.